Do you ever wander through the cosmetic aisle or among the many cosmetic counters in department stores and wonder how to really choose the best moisturizer for your face? Choosing the proper facial moisturizer is a big decision because selecting the wrong one could cause break-outs or even an allergic reaction. This is why natural skin care products are the best choice. They are ideal for hydrating all skin types without causing adverse reactions. Here are some tips for choosing the right moisturizer for your skin type. The most common skin types include dry, oily, combination and sensitive. It’s a good idea to learn which skin type best describes your skin so that you are better capable of choosing a moisturizer suited to your skin. Dry skin is typically characterized by a tight feeling after washing and can be itchy, flaky and have a dull appearance. Oily skin typically has a shine to it, but not a good shine because it’s usually backed by dull color. Acne is more common with oily skin, but can occur with any skin type. Both dry and oily skin can be genetic or caused by diet and hormones. Combination skin usually refers to those who have dry skin on the cheeks but oily skin in the T-zone (forehead, nose and chin). Sensitive skin tends to react more to certain ingredients and environmental factors, meaning you can’t just use any skin care product on your face. Sensitive skin also tends to burn easily in the sun. Natural skin care products like moisturizers are usually well-suited to all skin types because they hydrate in a healthy way, using natural ingredients, instead of artificially moisturizing with harsh, chemical ingredients that can cause break-outs and irritation. Natural moisturizing ingredients might include natural oils like olive oil, coconut oil and grapeseed oil. Natural acne skin care moisturizers might include hazelnut oil, lavender oil, lemongrass oil and tea tree oil. 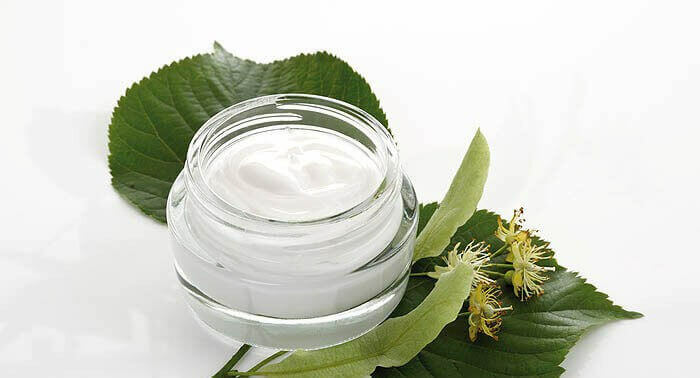 Many natural skin care products will state in their label which skin type the moisturizer is best suited for, but often, because there are no artificial or chemical ingredients, the natural skin care products will benefit any skin type. They don’t over-dry or over-moisturize because the natural ingredients work with your skin to properly hydrate it. Natural skin care products are also perfect for sensitive skin types, unless you have a specific skin allergy to a natural ingredient, because it’s usually the harsh chemicals that irritate sensitive skin. Natural acne skin care moisturizers are perfect for acne-prone skin that is dry or oily, as the natural ingredients work with your skin to reduce break-outs and properly hydrate your skin. Once you determine your skin type, choose an all natural moisturizer to get your skin looking fresh, hydrated and healthy.